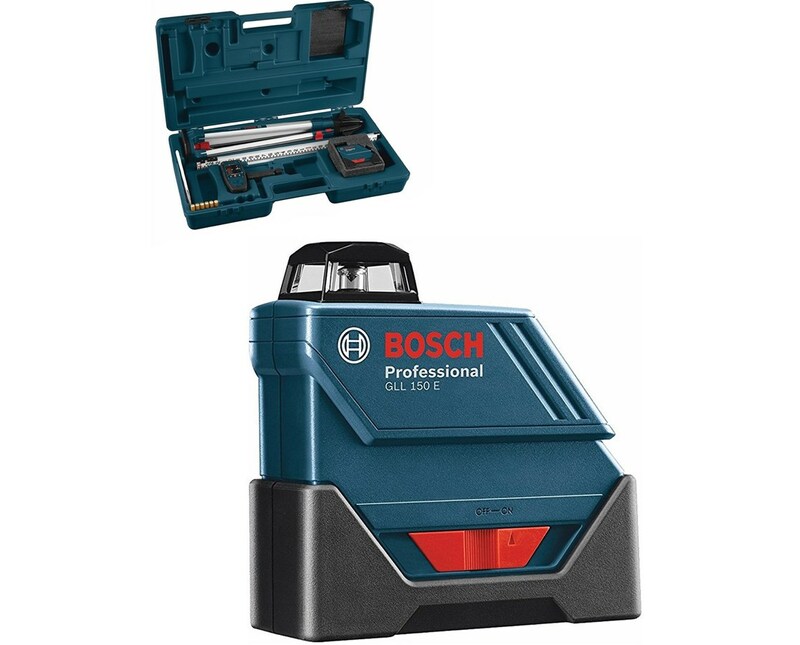 Rugged and reliable, the Bosch GLL 150 ECK Self-Leveling 360-Degree Exterior Laser is the right choice for users who need a wide 360-degree coverage horizontal leveling solution. 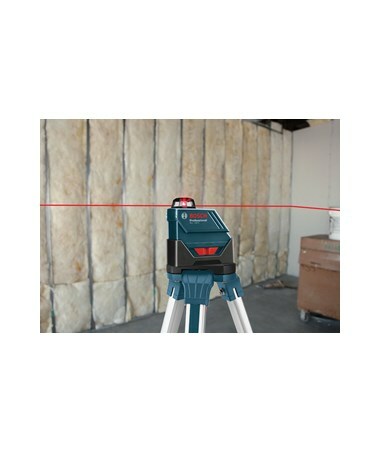 With range up to 530 feet with a laser receiver, this leveling laser is perfect for most interior and exterior applications. 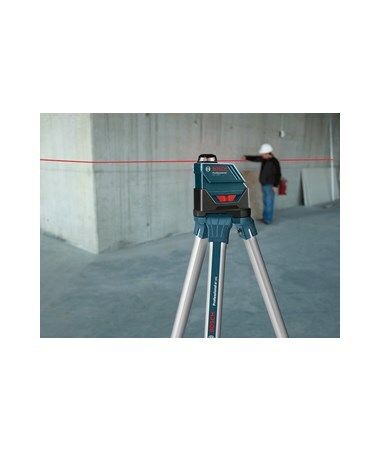 The GLL 150 is self-leveling within ±4 degrees and offers an accuracy of ±3/16 inches at 100 feet. 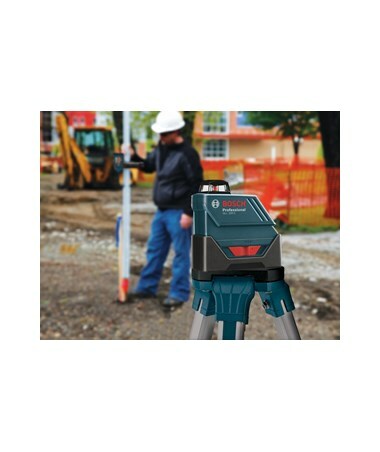 This Bosch laser automatically levels the laser and indicates an out-of-level condition for an instant setup and maximum productivity on the job site. 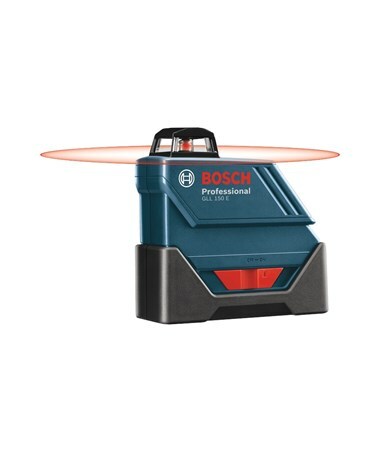 Also, it comes with a cone laser technology that improves reliability with no rotating or motorized assemblies. 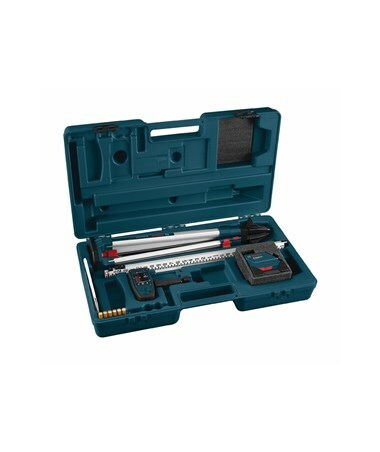 Its one button operation is simple to use and operate. Plus, the off button position locks the pendulum for added durability during transport. 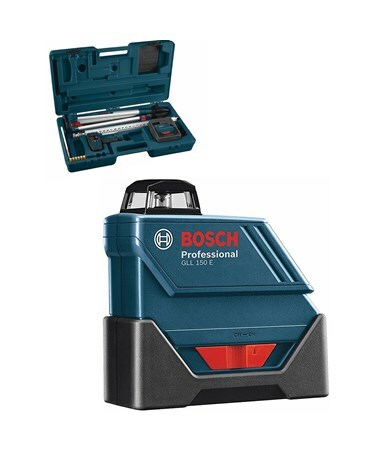 Robust and long lasting, the Bosch GLL 150 ECK Laser is made of a durable plastic with overmold in key impact areas. Also, it has an IP55 rating which makes the instrument dustproof and water resistant. 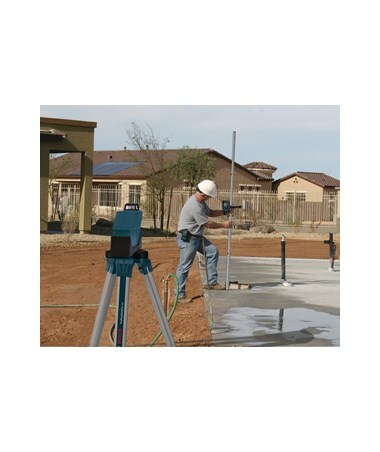 With a 14° F to 22° F operating temperature, it can easily withstand harsh weather conditions. 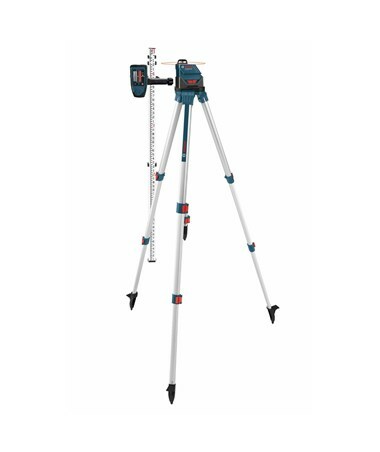 This laser features a 1/4-20 or 5/8-11 thread option for easy tripod attachment.